Elbow Stiffness is a very common problem following injury. There are many reasons for this, but the main structure usually responsible for elbow stiffness is its joint capsule. The joint capsule is the balloon-like structure surrounding the elbow. When the joint capsule thickens and tightens up in the front of the elbow, extension is lost. When the joint capsule thickens and tightens up in the back of the elbow, flexion is lost. When both thicken and tighten up, all elbow motion can be compromised. Initial treatment for elbow stiffness is usually therapy. Therapy attempts stretches out the elbow’s joint capsule by manually stretching the elbow beyond its current extremes of motion and by using special splints to slowly stretch out the joint capsule while at home and work. If therapy isn’t able to regain sufficient elbow motion, the choice is between permanently accepting the stiffness or undergoing surgery to regain elbow motion. Radiographs are necessary to check for elbow deformities, arthritis and Heterotopic Ossification (HO). HO means that bone has formed about the elbow following injury or surgery; no one knows exactly why this happens. The bone formed by HO can restrict motion. HO and any significant elbow deformities require open surgery to be treated. Arthritis may be amenable to treatment by open or arthroscopic surgery, depending on its severity; please see the ‘Elbow Arthritis’ section for more information. If there is no significant deformity, arthritis or HO, then the surgery to regain elbow motion involves excising the thickened and stiffened joint capsule. Depending on the severity of the stiffness, this can be performed by arthroscopic or open surgery. 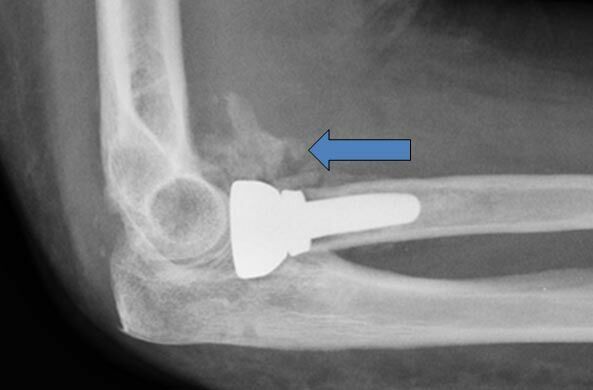 To regain extension, the joint capsule in front of the elbow will need to be removed. To regain flexion, the joint capsule in back of the elbow will need to be removed. Both sides of the elbow joint can be released at the same surgery. Arthroscopic Elbow Release is a minimally-invasive outpatient surgery during which small instruments are used to remove the joint capsule. 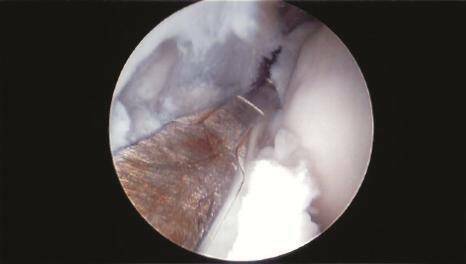 Arthroscopic surgery can be used in cases of mild-moderate elbow stiffness. However, once stiffness is severe, open surgery is required. An open elbow release is an outpatient procedure that is also extremely effective. Regardless of which technique is utilized, if increased elbow flexion is desired, the ulnar nerve will need to be released at the time of surgery. This is because the scar that stiffens the elbow also usually affects the ulnar nerve, scarring it into the cubital tunnel, which is adjacent to the elbow. If the ulnar nerve is not released, then the increased flexion regained during surgery will lead to traction on the ulnar nerve and Cubital Tunnel Syndrome. This problem is best prevented by simply performing an Endoscopic Cubital Tunnel Release at the time of joint capsule excision. 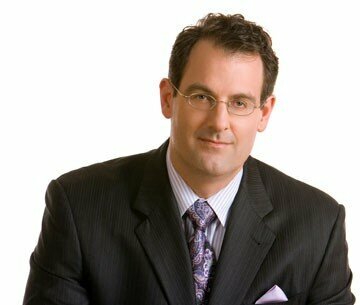 This minimally-invasive procedure adds essentially no pain or swelling to the procedure. Please see the section on ‘Cubital Tunnel Syndrome’ for more information. Following either Open or Arthroscopic Elbow Release, the elbow is splinted in full extension because full extension is the position that best keeps post-operative swelling out of the elbow. Therapy is begun within 2-3 days after surgery to maintain the motion gained during surgery. To maximize motion, therapy should be done 5 days a week for the first month. Therapy usually continues after the first month, but often less frequently. A technique that helps maximize motion following elbow release, especially after open release, is a Manipulation Under Anesthesia. A Manipulation is routinely scheduled one week after Open Elbow Release, although it may not be required for those undergoing Arthroscopic Elbow Release for lesser degrees of stiffness. A Manipulation is not a surgery and no wound is made or reopened. A Manipulation is simply a special ‘therapy session’ where the surgeon moves the elbow while the patient is asleep. After a quick anesthetic, the patient wakes up to go to regular therapy. Please note that a Manipulation will not regain motion except after surgical excision of the joint capsule. If a Manipulation is attempted in the presence of a stiff joint capsule, it will fail and the bones and/or cartilage of the elbow may be damaged. 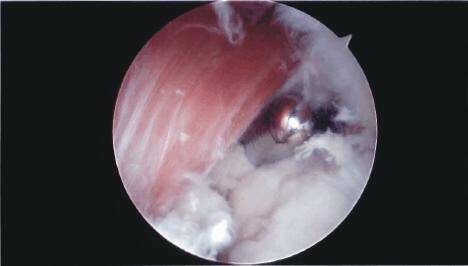 The reason that a Manipulation works the week following surgery is because the stiff joint capsule has been removed, and a new capsule has not yet reformed. So, if elbow stiffness is a problem, it can be addressed by either an Arthroscopic or Open Elbow Release. Improved motion is the rule as long as the therapy and home stretching program are taken seriously. Elbow Joint (Articular) Capsule and Ligaments – Here the MCL is called the “Ulnar Collateral Ligament” and the LCL is called the “Radial Collateral Ligament”. HO is present following a radial head replacement. An arthroscopic biter is used to remove the elbow’s joint capsule.